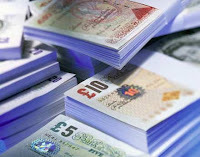 UK government officials have announced the Small Retailers Capital Grants Fund - a fund that will help over 1,000 small business owners across England protect themselves from criminals. They can use the grant money to purchase security equipment such as CCTV, infrared security cameras, security shutters and rollers, safes, alarms, anti-fraud equipment such as UV markers to detect counterfeit notes and anti-graffiti paint. The funds can also be used to install "Neighborhood Watch" systems - in which all the retailers in an area will alert each other to any suspicious activity or crime by simply pressing a button. In addition to funding, small business owners in England also have access to an online risk assessment tool that was developed by crime prevention experts. They can use the tool to identify simple things they can do to improve the security of their store and to determine who to contact for help.